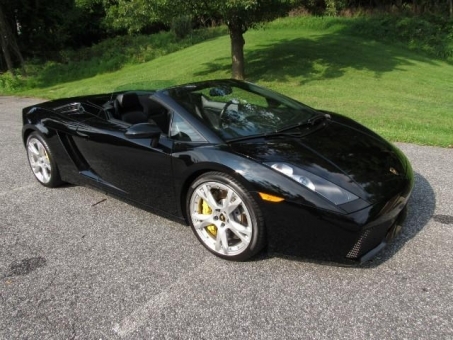 2008 Lamborghini GALLARDO SPIDER. CLEAN CARFAX. E Gear Transmission, Ad Personam Interior, Callisto wheels in Silver, Steering Wheel Perforated Leather, Premium Sound System w/USB Interface, Dual Zone Climate Control System, Permanent 4WD with Viscous Traction System.